Ahead of the Disney Epcot Food and Wine festival, Michelle and I stopped for dinner at Portobello in Downtown Disney. The past few years, we’ve kicked off our trip with Irish pub Raglan Road, but we decided to switch things up a little. Eating at the bar allows for a choice of 4 different speciality meatballs. The beef, pork, or chicken meatballs are 1.95 each add a dollar for the salmon. You can also get a selection of 3 for 5.00 (6.00 if you pick salmon). Each type of meat is paired with a single spice to drive the pairing: Chicken with Sage, Salmon with Tarragon. My favorites were the spicy pork and beef meatballs, while Michelle enjoyed the chicken. 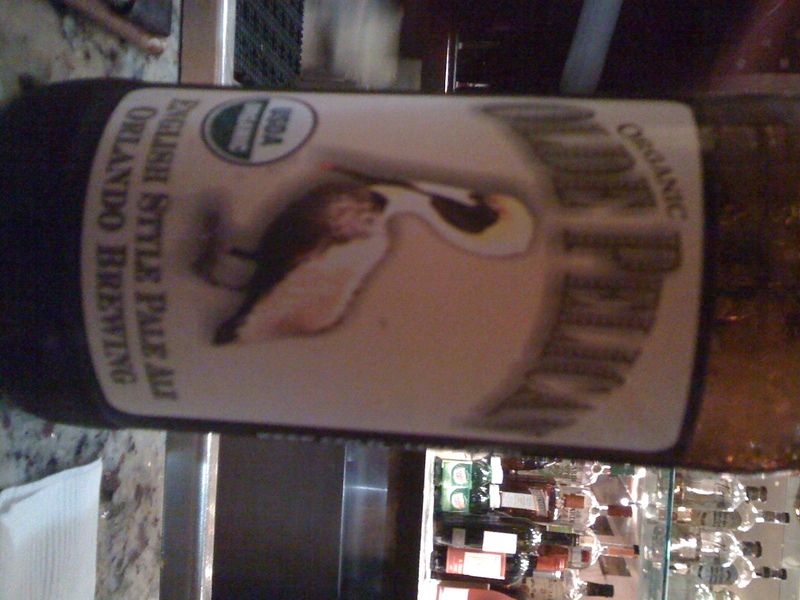 I was also able to try two beers from Orlando Brewing which is an organic brewery located not surprisingly in Orlando. I started with the EPA (English Pale Ale) which had a fantasic amount of malt to help balance the hops. There was almost a caramel flavor at the end right before the bitterness came in. It was a nice and round flavored beer that went really well with the Spicy Pork and Beef meatballs. The sage and the hops didn’t match as well. 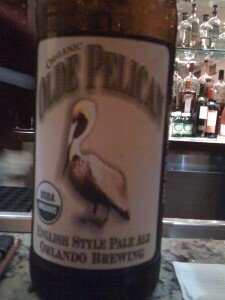 For dessert, I tried a bottle of the Blackwater Porter, also from Orlando Brewing. Nice rich coffe flavor and a deeper color than I expected in a porter. The flavor was nice and paired well with one of the signature desserts, the Beerimisu. Michelle ordered this in order to keep her streak of trying Tiramisu deserts as often as possible. Instead of an expresso, they added the same porter that I tried in order to get the roasted coffee flavor. It was a great switch that had us wondering if we could switch our tiramisu recipe at home to use a stout or porter. Nice and creamy with the light hint of coffee that Michelle prefers. 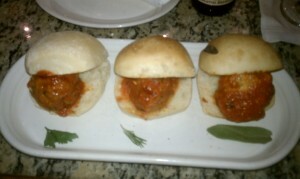 A great time the first night at the Meatball bar at Portobello in Downtown Disney.